There is a thin line between Email Marketing and spam. We know how to not cross it. Get in touch with our experts to discuss the potential of Email Marketing for your business. We follow a process which gives guaranteed results! The first step is to create a marketing strategy which is in sync with your brand. Every email is thoroughly tracked. Thoughts like "has my email been read? ", "did the person click on the link? ", "what happened after he clicked on the link?" are history. Aesthetically appealing templates which will make your customers click on the link. Re-connect with all those people who have visited your website. 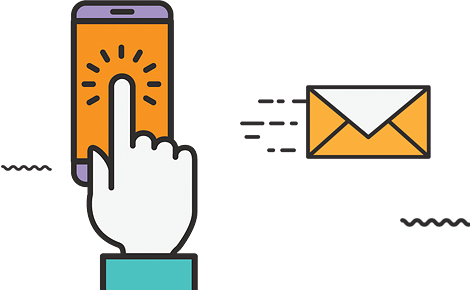 Remarketing campaigns are the best way to reach out to your existing customers or those people didn't complete a transaction.